The Beatles Through The Years: Photo of the Day: Beatlemania Outside Buckingham Palace. Photo of the Day: Beatlemania Outside Buckingham Palace. 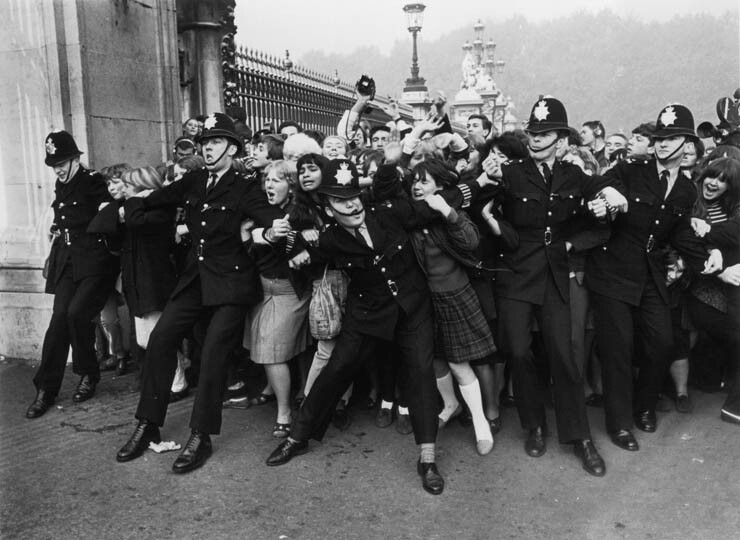 Fans get held back by police as the Beatles show up to get their MBE's, 1965.